It is an elegant room (26 sq.m.) for staying of 3-4 people. 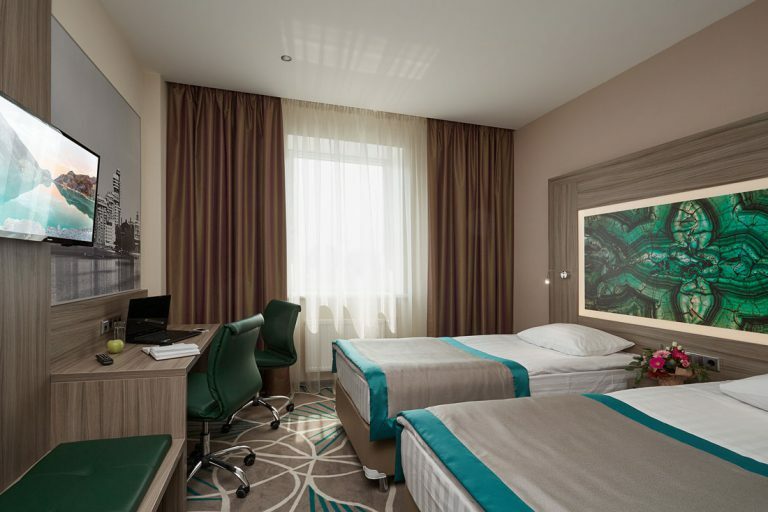 This room has all necessary facilities for a comfortable rest and fruitful work: convenient beds, a soft sofa, an enlarged working zone, a mini-bar with favourite drinks – it is really worth to be chosen by you. Standard DBL is a cozy room for staying of 1-2 people. It is simple-stylish, equipped with all necessary facilities for a good level of comfort. An ergonomic working zone enables to prepare to business meetings and work with documents. An armchair and an ottoman for relaxation make an ideal place for conversations with guests. A standard double room with two single beds, area is 18,5 sq.m., in the classical style. A separate working zone and a relaxation zone, a large TV set, a telephone with different types of communication. This room type is an optimal choice for those tourists who look for comfort at a reasonable price. It is a superior room (24 sq.m.) with interior decoration in a quiet grey colour scheme. 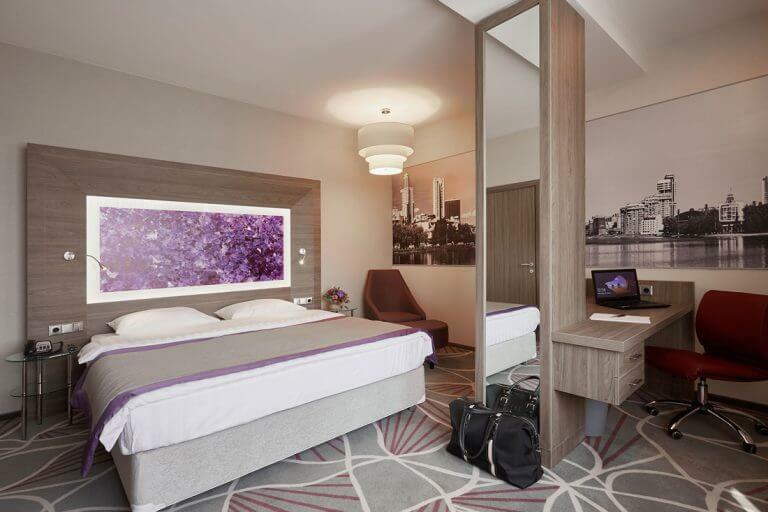 This room type is especially suitable to those people who look for a hotel in Yekaterinburg for a business trip: the room is equipped with a large working zone, a soft zone enables to relax and rest after a busy business day.